The reformational philosophy promoted by the Association aims to promote radical Christian reflection in a post-Christian society. With the insights of this philosophy, the Association seeks to contribute to a deepened philosophical under-standing of created reality and thereby give sup-port to every valuable insight that is provided by the sciences and which arises from out of social life. 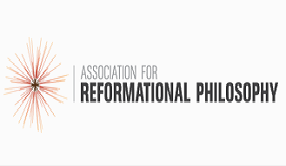 The Association of Reformational Philosophy works together with both national and international partners.